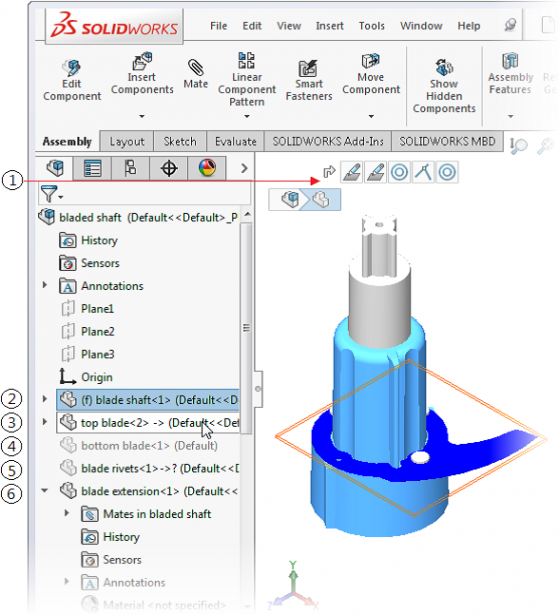 The new release of SOLIDWORKS 2016 is less than a month away and when you install SOLIDWORKS 2016 one of the first things you will notice is that with this release there is a new look to the SOLIDWORKS Interface. This is the 3rd interface change SOLIDWORKS has made since it was released and in looking back it has been over 7 years since the last overhaul so it was time for a change. 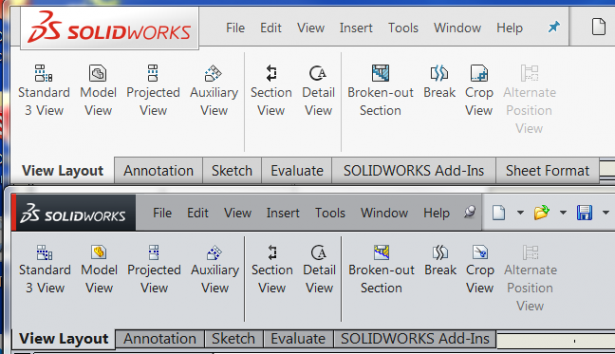 At first glance more users are going to say what happened to all the colors and according to the SOLIDWORKS WhatsNew2016 on the User Interface Redesign: SOLIDWORKS 2016 provides an updated, clean, and modern user interface. The innovative styling incorporates the most useful user interface concepts from the portfolio of SOLIDWORKS products. Redesigned icons are easier to recognize. The color scheme and highlights are easier to identify for color-blind users. If you have a high resolution screen, you can choose larger icons for better visibility. We will take a look at the new interface starting with the Feature Manager Tree as well as some comparative screen shots of SOLIDWORKS 2016 and 2015 Command Manager for Parts, Assemblies and Drawings. The updated FeatureManager design tree includes easier to identify node states and new tree controls. Command Manager – We will look at the most common Command Manager Toolbars starting with Parts and Sketches. Aside from the obvious color change you will notice that the overall layout and standard features were not changed. Some of the icons did get an updated or more descriptive image. One of the little things that I did notice is how all of the icons now have the same isometric type perspective. Sketch (2016 on top and 2015 on bottom) – You will see the little changes to a lot of the icons also notice there is a new Instant2D feature for changing sketches. Part – Once aging it is more of the little changes like the Fillet icon is flipped and looking at the Linear Pattern for part and sketches are now similar, part has one of the features filed in and sketch has just one of the entities highlighted. Overall I know the changes are going to take a little to get use to but after using SOLIDWORKS 2016 for just a couple of hours I had no issue getting use to the new look and feel of 2016. There are also some new features that are going to make day to day use of SOLIDWORKS easier and I am looking forward to exploring these new features.